Have you been injured by a dangerous prescription drug? Has an unsafe medical device injured you or a loved one? Has an herbal supplement caused you or a loved one harm? Burg Simpson can help! Do not wait to call the dangerous drug and medical device attorneys at Burg Simpson to discuss your legal rights. When you take a prescription drug or herbal supplement or have a medical device implanted, you expect that these medical products are safe for you to use. Unfortunately, we frequently see in the news that such medical products are recalled or the subject of lawsuits due to contamination, defects, and other safety concerns. If you have been harmed by a dangerous drug or medical device, you know how devastating it can be when a medical product company fails to do its job to make sure it is safe to use their products. Burg Simpson can help you hold them accountable. 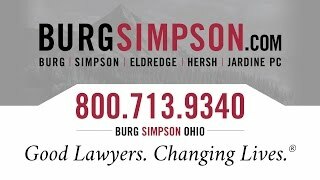 The attorneys in Burg Simpson’s Cincinnati office are experienced in representing clients who have been harmed by dangerous drugs and medical products, both in individual and mass tort cases. With substantial leadership experience in this field, Burg Simpson’s mass tort lawyers have a proven history of results for thousands of clients nationwide. Let Burg Simpson’s attorneys fight for you. Call Burg Simpson’s Cincinnati office at 1-513-852-5600 or fill out our Free Case Evaluation form so we may discuss your case with you. WHAT ARE DANGEROUS MEDICAL PRODUCTS? Medical products are the drugs, medical devices, and supplements that are produced by the medical, pharmaceutical, and other related industries. Undoubtedly our society has benefited from the development of many medical products. However, like any consumer product, medical products carry risks. When a medical product is not manufactured correctly, the risks of that product are not fully disclosed, or the risks of the product outweigh the benefits, then the product is unreasonably dangerous and the medical product manufacturer may be liable to you for the harm that results from your use of the product. If you have been injured by a medical product, you may have a legal claim against the product’s manufacturer. There are time limits on when you may bring a legal claim, however, so it is important that you contact a medical device attorney at Burg Simpson today by calling 1-513-852-5600 or submit a Free Case Evaluation form. A tort is a civil wrong recognized by the courts, where one person (the plaintiff) seeks to recover for his or her harms that were caused by another (the defendant). A mass tort is a civil wrong recognized by the courts where many people have been harmed and seek recovery from the same person or persons. (Legally, companies are treated as persons.) Usually, a mass tort involves several people harmed by the same medical product. You may be wondering whether a mass tort is the same as a class action. Although both involve multiple plaintiffs and the same defendant(s), mass torts and class actions are not the same. A class action is typically one lawsuit in which many plaintiffs file claims together against the same defendant(s). A mass tort, however, is typically made up of many different individual lawsuits against the same defendant(s), which are filed before or transferred to the same court. WHAT KIND OF MEDICAL PRODUCT CLAIMS DOES BURG SIMPSON HANDLE? Biologics, or biological products, include a wide range of products such as blood, gene therapy, and vaccines. The difference between drugs and biologics is that a biologic is manufactured in a living system, such as a microorganism, whereas drugs are typically manufactured by combining specific chemical ingredients. As with any medical product, biologics pose risks. When the risks of a biological product are not fully disclosed, or if the risks of the product outweigh the benefits, then the product is dangerous because you may suffer harm that could have been avoided had you been properly informed of those risks. Additionally, unlike conventional drugs, biologics tend to be susceptible to microbial contamination, impurities introduced through the manufacturing process, and differing results due to variances in the manufacturing process. If you have been injured from a biological product due to undisclosed risks or contamination, you may have a legal claim against the product’s manufacturer. There are time limits on when you may bring a legal claim, however, so it is important that you contact a trial attorney at Burg Simpson today by calling 1-513-852-5600 today. As traditional health care costs continue to escalate, more Americans than ever have turned to herbal supplements (also called “dietary supplements”). Indeed, some studies have estimated that American consumers spend a little over $30 billion a year on supplements. Despite their popularity, herbal supplements can be dangerous. First, unlike prescription drugs, herbal supplements are not reviewed for safety and effectiveness by the Federal Drug Administration before they are placed on the market. Secondly, some supplements can contain ingredients that can affect the body in ways that can cause serious harm, especially if combined with other supplements, taken with medicines (prescription or over the counter), and/ or taken instead of medications. Lastly, not all supplements have been well-studied by scientists, so their effects may not be known. The U.S. Food and Drug Administration defines medical devices as “an instrument, apparatus, implement, machine, contrivance, implant, in vitro reagent, or other similar or related article, including a component part, or accessory which is … intended for use in the diagnosis of disease or other conditions, or in the cure, mitigation, treatment, or prevention of disease, … and which does not achieve any of its primary intended purposes through chemical action … and which is not dependent upon being metabolized for the achievement of any of its primary intended purposes." In other words, if it is used to treat or cure you, but it is not a drug, herbal supplement, or biological product, it is a probably medical device. Unfortunately, not every medical device works as it should. Some medical devices can be defective or pose undisclosed risks that can result in injury, further surgery, or even death. If you or a loved one has been injured as a result of a defective or dangerous medical device, Burg Simpson’s experienced defective medical device attorneys can help. Call Burg Simpson’s Cincinnati office today at 1-513-852-5600 or you can fill out our Free Case Evaluation Form. When you head to your neighborhood pharmacy in search of some over-the-counter cold or pain medication, you do so expecting to find relief. Sometimes that medicine delivers harm instead. Over the counter medications, like all medications, carry some risks. If the company that manufactured the over-the-counter drug fails to warn of a risk, unsuspecting consumers like you may suffer. Likewise, if the manufacturer designs a defective drug or if the drug is manufactured in such a way that it renders the drug defective, unsuspecting customers like you could be seriously injured. If you have been harmed by an over the counter drug, you could have grounds for a claim. Contact the drug lawyers at Burg Simpson’s Cincinnati office by calling 1-513-852-5600. Valsartan – Three manufacturers of the popular high blood pressure medication Valsartan recently recalled all their Valsartan-containing products due to a manufacturing error that contaminated the products with the known cancer-causing agent N-nitrosodimethylamine (NDMA). When ingested, NDMA causes cancer and other health problems throughout the body, but most often in the liver. The FDA reports that this contamination may have been going on for four years. If you or a loved one took Valsartan in the last four years and now have liver disease or liver cancer, contact one of the experienced product liability attorneys at Burg Simpson today to discuss your legal rights. Click here to learn more about this urgent recall. Hyoscyamine – On September 14, 2016, Virtus Pharmaceuticals recalled seven lots Hyoscyamine due to a manufacturing error that resulted in superpotent pills that can cause severe side effects such as seizures and stroke-like symptoms like confusion, dizziness, blurred vision, slurred speech, imbalance, and disorientation. If you or someone you love took Hyoscyamine that was manufactured by Virtus Pharmaceuticals and suffered any of these side effects, contact Burg Simpson today. Click here to learn more about this dangerous manufacturing defect. Burg Simpson has a national reputation for standing up for individuals in courtrooms across the country. 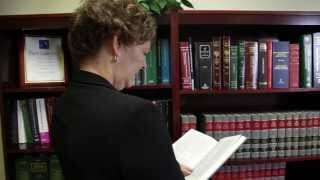 With seven offices in six states and more than 60 attorneys, Burg Simpson has the experience and resources to fight for you. The medical device and drug attorneys in Burg Simpson’s Cincinnati, Ohio office are part of Burg Simpson’s dynamic team serving the people of Ohio, Kentucky, and the nation. They have taken on many of the biggest pharmaceutical and biomedical manufacturers in the world, held leadership positions in mass tort litigation cases, and helped thousands of clients obtain justice and compensation for their injuries. They are ready and willing to fight for you. If you have been hurt by a dangerous drug, herbal supplement, medical device, or biologic, it is extremely important that you speak with a tort attorney as soon as possible. Contact Burg Simpson’s Ohio office right now by filling out a Free Case Evaluation Form, or call us directly at 1-513-852-5600. We are here to help.